News > The Empire style through Tatiana Antonchenko’s eyes. Would you like to feel yourself the Imperial person? Then this style is for you. Day of birth of the style: the beginning of the 19th century. 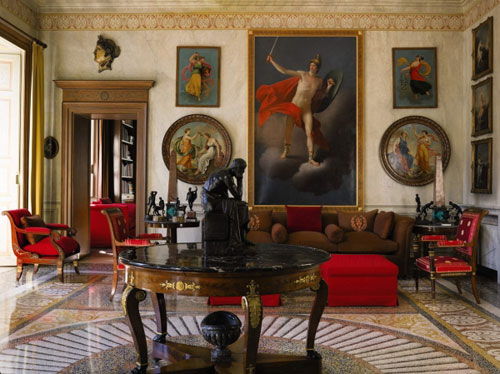 This style was originated in France in the days of the great French revolution, when Napoleon demanded pomp and grandeur in everything, particularly in the interior decoration of the chambers. The Empire – is a magnificent, ceremonial, military triumphal style, imitating the glamour and luxury of the Roman Empire. Rich decor with motifs of military emblem. Forms are massive and simplified. Monumentality is emphasized, intellectual atmosphere, feast, parade dominate. Mahogany, ebony are used. Bright colours of the Napoleonic flag are peculiar (red, blue, white). Also gilding, crystal, metal, glass, forging, textiles, porcelain. Carving is not applied! 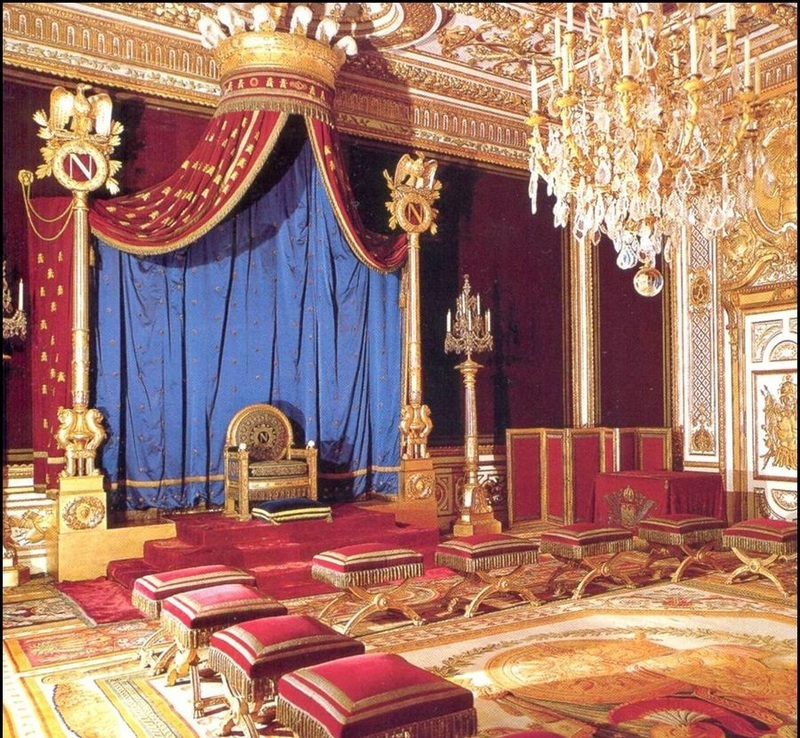 On furniture there are bronze and gold-plated linings, smooth lines, friezes, baldachins. Ornament is Egyptian. Furniture is rectangular, massive, tables are round and oval, bookcases with bars, cabinets for porcelain, open sideboards, showcases. Legs of beds, tables, chairs are in the shape of lion's paws, griffins, sphinxes, the backs of chairs are in the form of a lyre, vanity tables, jardinières – round stands for flowers, clavichords – standing mirrors – “psyche”. Multi-cones lamps on the walls, bronze lamps, glass pendants. Rich decor with motifs of military emblem: crossed swords and spears, shields and helmets, laurel wreaths. Opulent interior of a bathroom in the Empire style can be implemented in a spacious room. The interior of a bathroom is created using natural materials – granite, marble, ceramics. Colour scheme – intense, from light cream to pink purple colours. For decorative purposes gold-plated or bronze inserts are widely used in the décor of walls and ceiling.